What Does Your Dog Breed Reveal About You? Did you know that studies have found connections between your personality and the type of dog you choose? For example, terrier owners are reported to be feisty, competitive, playful and have a great sense of humor. We discovered a detailed page listing over 25 of the most popular breeds, together with a detailed analysis of traits that can be found in their owners. There are obviously more breeds of dog than the popular ones listed on the page…. but maybe the same can also be said about their owners… are you a rare breed of individual who considers yourself unusual and unique? Chances are you are one of the ones that go for a rare breed of dog! 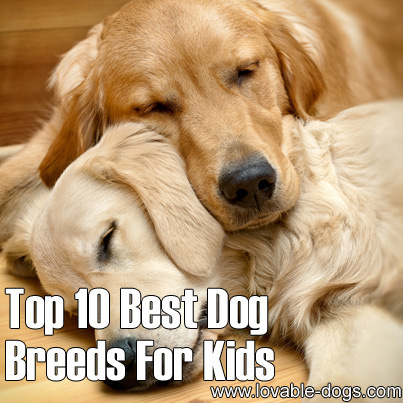 Ok, we just found a great list that people are sure to appreciate: Top 10 Best Dog Breeds For Kids. This list is compiled from breeds that are known for their calm temperament, guardian qualities, and also some breeds that are “tough yet gentle” – because kids can sometimes be boisterous and so it’s better to have a type of dog that is physically stronger so as to be able to deal with a little “rough and tumble” type play, yet still remain good natured. In general, it is thought that small / highly strung dogs are not ideal for children. 1. Golden Retriever. Similar, but not as big as the Labrador Retriever… the Golden Retriever is loyal, obedient and patient, making them great for kids. 2. Labrador Retriever. Aka the Yellow Lab…. this is one of the most popular of all family dogs and considered perfect for kids. Labs are highly trainable, good natured and super cute when puppies! 3. Poodle. Good natured and smart, these are popular family dogs. 4. Irish setter. A hugely popular “big dog”, Irish setters are energetic and playful. 5. Vizsla. This was a new one on me! Have you heard of this breed?? Apparently they are gentle, loyal and quiet. 6. Newfoundland. These large dogs are very sweet natured and adore children. Another interesting fact – these dogs are known for their swimming ability and have even saved lives! 7. Collie. Protective and smart, collies are very popular family dogs. Just be careful they don’t start herding the kids and nipping the ankles during run-around time! 8. Bull Terrier. Probably better suited to families with boisterous boys, the bull terrier is friendly yet well built. 9. Beagle. Beagles are generally friendly, smart and good natured dogs, are sturdy and like to play. 10. Bulldog. Bulldogs are solidly built, loyal and yet generally placid and laid back. 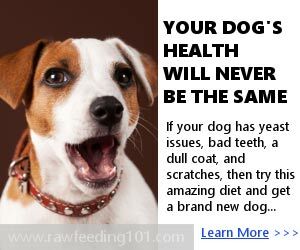 They can however be prone to health issues such as hip problems. Some other breeds such as German Shepherds are adored by children yet because they are highly intelligent working dogs, they do best with structured training and exercise and are thus not necessarily ideally suited to family scenarios. They can also have health issues. In any animal species, there will always be monsters that will stand out among the rest because of their impressive size, be it height or weight. Dogs are no exception, varying tremendously in sizes and shapes. There are those cuddly and adorable breeds that can be just carried around in bags, while others are so huge and sturdy that they can likely overpower a full-grown man. Giants among dog breeds can weigh more than a hundred pounds and have faster growth rates than other dogs smaller their sizes. Surprisingly, the big daddies among dogs are calm and docile despite every inch of their massive built oozing with strength and physical power. They make wonderful pets, are open to training, and are very adaptable to people, even to children. 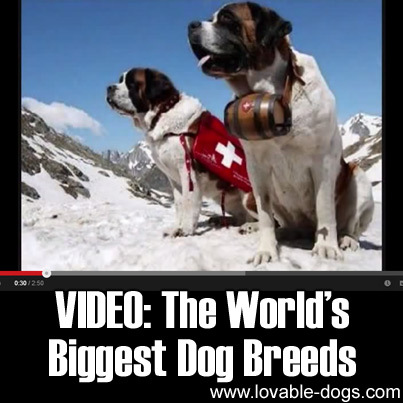 They have loving temperaments and are dependable – the St. Bernard, for example, is regarded as a well-respected hero because of its valuable role in alpine rescue missions. It stands a fact that being bigger doesn’t necessarily translate to being better, but it does have some obvious benefits. For one, being monstrous in size becomes a remarkable feat for keeping your family and property safe and for hunting games. After all, four-legged giants are certainly intimidating. With such brute strength and sheer size, any burglar would be thinking twice (or even thrice!) first before he would attempt to execute his nasty schemes on your household. Unless the intruder is that thick to underestimate a 100–200-pound dog of course! Big dogs require less exercise too than most small- and mid-sized dogs would, making them excellent companions of city dwellers or busy people. The Great Dane, however, is characterized with a rather slow metabolism and therefore needs a great deal of exercise to be constantly in shape. Let’s face it. Big, towering dogs have their own version of charm. Here’s a video by ashergeraldben enumerating a few dogs of colossal frame.